This is the story about the most unlikely voice of hope, singer songwriter Prudence Mabhena. Her country is bankrupt, her body is broken. Neighbors and family consider her cursed. 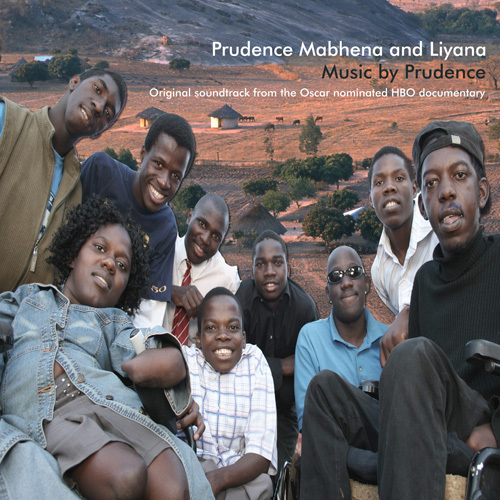 But in music, Prudence and her seven young disabled Zimbabweans may have found a way out. From the Academy Award winning film and HBO documentary “Music by Prudence,” directed by Roger Williams. Music produced and orchestrated by Ted Mason. Additional engineering and mastering: AJ Burton and Ziv Shalev. Ted Mason- gutars, 11 string guitar, piano, bass. Rodney Ledbetter- drums, additional percussion.